If you've been searching for a way to get up to speed quickly on IEEE 802.11n without having to wade through the entire standard, then look no further. This comprehensive overview describes the underlying principles, implementation details, and key enhancing features of 802.11n. A detailed discussion of the key throughput, robustness, and reliability enhancing features (such as MIMO, 40 MHz channels, and packet aggregation) is given, in addition to a clear summary of the issues surrounding legacy interoperability and coexistence. Advanced topics such as beamforming and fast link adaption are also covered. With numerous MAC and physical layer examples and simulation results included to highlight the benefits of the new features, this is an ideal reference for designers of WLAN equipment, and network managers whose systems adopt the new standard. 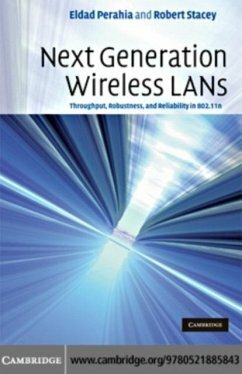 It is also a useful distillation of 802.11n technology for graduate students and researchers in the field of wireless communication.